A US court decision threatens to erode cultural relations between Russia and the US even further. 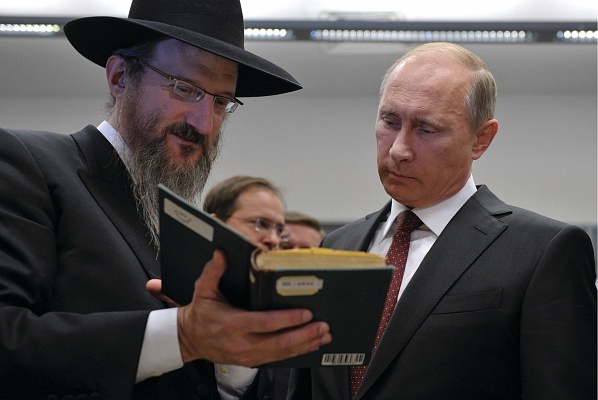 On 10 September, a federal judge in Washington, DC, fined Russia $43.7m for failing to hand over a collection of books and religious documents to a Jewish Orthodox organisation in Brooklyn. The collection belonged to Rabbi Yosef Yitzchak Schneersohn, leader of the Chabad-Lubavitch group, which was based in Russia for centuries. He fled the Soviet Union in the 1920s, leaving behind part of the library. Other books taken by him to Warsaw were looted by the Nazis and then seized by the Red Army and returned to Moscow in 1945. In 2011, Russian state museums were barred by the government from making loans to the US following a US federal judge’s ruling that Russia must transfer the Chabad-Lubavitch books to the Jewish group that is claiming them in Brooklyn. Russia refused and suspended loans to the US because of fears that works of art could be seized by authorities in relation to the case. In response, major US museums, including the Metropolitan Museum of Art in New York, stopped lending to Russia. The Russian president, Vladimir Putin, then transferred thousands of books from the Chabad-Lubavitch collection to Moscow’s Jewish Museum and Tolerance Centre. Responding to the fine imposed in the US last month, the country’s culture ministry told the RIA Novosti news agency that Russia was pulling out of the US court case over the books, since these were “part of the library holdings of Russia”. 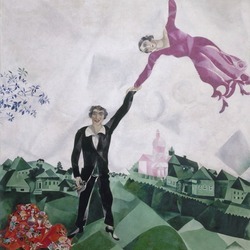 Meanwhile in Europe, the Millesgarden museum in Stockholm was forced to cancel a show of works by Marc Chagall one week before the opening on 12 September when the Russian government blocked the loan of 40 paintings from the State Russian Museum in St Petersburg. The move came in response to a July 2014 ruling by the Permanent Court of Arbitration in The Hague, which ordered the Russian government to pay $50bn to compensate shareholders of Yukos, the former oil giant dismembered by the state in 2003. Russia refused. The Russian government fears that works of art sent on loan to Europe could be seized as a result of the Yukos ruling. Loans from Russian museums to Europe will continue only if European countries provide legal guarantees that explicitly mention the ruling, said Mikhail Piotrovsky, the director of the State Hermitage Museum. In September, the deputy culture minister Vladimir Aristarkhov told reporters that such assurances had been received from numerous countries and that Russia was planning to send loans to Spain, the Netherlands, Switzerland and Mexico. It had problems only with the US and Sweden, he said. The Museum of Russian Art in Minneapolis has found a way around the cultural embargo between Russia and the US. 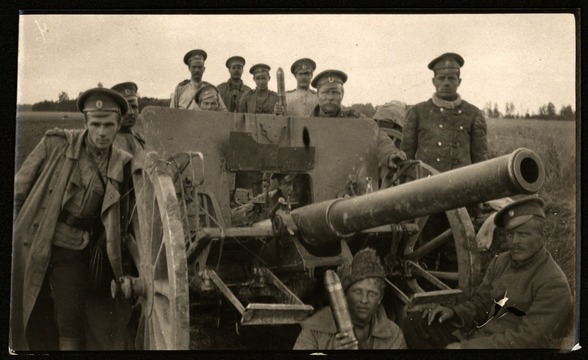 It organised Faces of War: Russia in World War I (until 13 March 2016), an exhibition of photographs, ephemera and objects, with help from the Russian culture ministry. Since Russia’s contribution comes in the form of digital materials, it does not fall under the embargo. (Period objects are on loan from US museums.) “This will mark the first time, as far as I know, since the beginning of the loan embargo, that Russian institutions will officially co-organise such an exhibition,” Vladimir von Tsurikov, the director of the Minneapolis museum, said. Institutions are taking advantage of the fact that the Russian cultural embargo does not cover loans from private collectors. Russian Modernism: Cross-Currents of German and Russian Art, 1907-17, presented at the Neue Galerie in New York this summer, included works from the collection of the Russian billionaire Peter Aven. “The state is not in a position to dictate to [private collectors] what to do,” the curator Konstantin Akinsha said. A group of US museum professionals are due to travel to Russia in December as part of a new training programme that aims to strengthen ties between the two countries’ institutions. The initiative, funded in part by the Russian billionaire Vladimir Potanin’s foundation, sent six Russian museum professionals to Washington, DC, earlier this year.